It was then a case of one step forward, two steps back against South Africa as the lineout broke down and their consistent lack of support to protect the ball at the breakdown lead to several turnovers and lack of quality ball to the backline. Against Argentina, the Wallabies’ forward pack improved again, mostly rectifying the issues of the previous week. It was a slightly odd first half. They were a little off the money at times and poor ruck defence ultimately cost them a try – albeit a controversial one in some people’s eyes. But in other ways, this was their most complete performance yet. The scrums were the highlight – it has been a long time since we saw the Wallabies scrum genuinely dominate an opponent. The Argentinian scrum has been poor for some time, but so has ours. 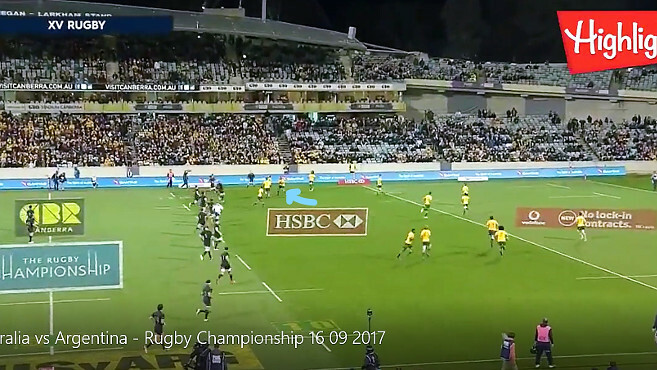 The Wallabies did not lose the ball against the feed (winning ten from ten scrums) and rather than having to scramble and survive as we so often are forced to do, the ball was stable, allowing time to pick and choose the side to move the ball. The highlight, of course, was a series of scrums at the 68th minute. The Argentine loosehead was unable to stay up and was ultimately penalised with a yellow card. The job of the loosehead is to scrum up, angle in and attack the chest of the tighthead – the loosehead could hardly stay up let alone put any pressure on the opposing tighthead. Credit to Sekope Kepu who gave the opposing replacement prop no chance to put any pressure on the Wallabies’ scrum. The sending off led to a weakened opposition and another dominant scrum led directly to Will Genia finding space and heading straight over the try line. The lineouts were a massive problem last week. There is nothing more demoralising than kicking a penalty to touch, planning a set piece and then losing the lineout. South Africa have big jumpers up front and made it hard for Tatafu Polota-Nau. Polota-Nau is a good ball runner, brutal in defence, excellent in his support play for fellow runners and anchors the scrum, but his lineout throwing is inconsistent. He and the forwards managed to fix the issues of last week, leading to a much-improved effort. All bar one of his throws hit the mark and the accuracy meant Australia got onto the front foot off the back of good lineout ball. However, the lineout defence could be better as Argentina made some good gains off several rolling mauls. 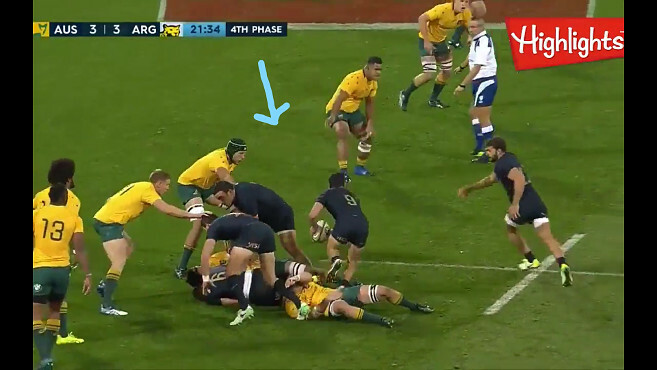 The Wallabies need to be better prepared for this tactic as it was not exactly subtle – seeing the No.6 line up next to the line instead of the No.9 telegraphs the Argentines’ intentions. 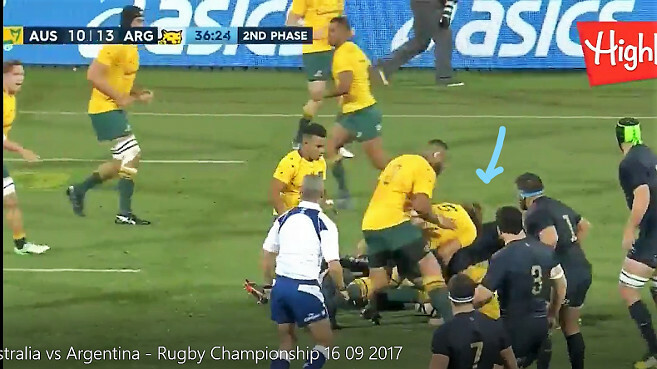 Yet the Wallabies failed to counter this with good metres being made on two occasions (refer screenshot below). Rather than contest the lineout, perhaps it is wiser to just attack the catcher once he lands. The breakdown was certainly the biggest concern coming into the match and this was a mixed performance. In attack, there were several occasions in the first half where the support did a poor job of cleaning out. At 36:33, both Ned Hanigan and Kepu fail to secure the ball and ‘cockroll’ the No.6 off the ball. It is very difficult to shift the best flankers once they are in the jackal position so either get there early or you have to be strong enough to roll them off the ball by turning them. Unfortunately, Hanigan and Kepu managed to achieve neither. The second half was a different story – the forwards ran together, with the runner well supported by a forward attached to him or right next to him. As a result, the ball coming out was more secure and cleaner allowing the Wallabies backs to get on the front foot. Several times, a forward would join the runner and provide an extra push to get them over the gainline – Polota-Nau may not get the metres run next to his name but his extra shove was vital in the lead-up to Australia scoring a try early in the second half. The ruck defence was also a major issue last weekend with South Africa making plenty of metres straight over the ruck. 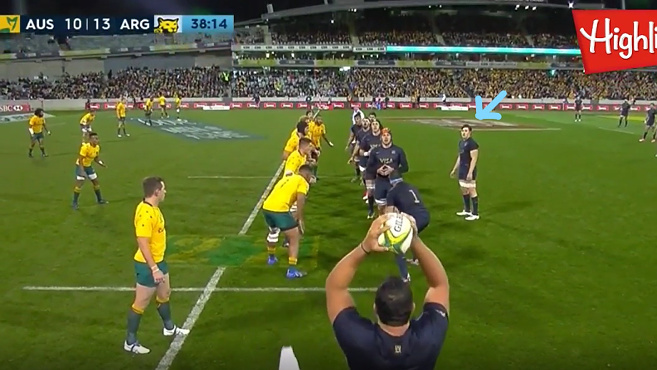 This was better this week but again an error in the first half led to the first try – the shot below at 21:34 shows Adam Coleman playing ‘post’ but he and Scott Sio got their spacing wrong, creating a big gap that the Argentines exploited. A big highlight was the quality and ambition of the forwards to pass the ball out of the 1-3-3-1 formation. They mostly made good decisions – passing when they had to and taking it into contact when there was nothing on. All the forwards showed good hands and while a couple of balls went to ground the ambition is there and it is important to keep trying these things in the heat of battle to perfect their execution. Even Rob Simmons got on the action with a beautiful offload playing a big hand in a second-half try. 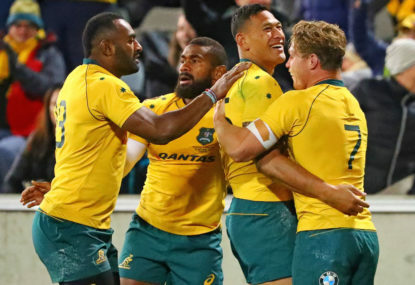 Just a brief comment on restarts which is almost becoming another set piece – the Wallabies were not really put under any pressure when receiving kick-offs as the Argentines kicked deep and Sean McMahon et al held onto numerous catches. It was pleasing to see the blockers get in front of the receiver – a shot from this restart shows several blockers protecting the space in front of Henry Speight. Off our restarts, Bernard Foley’s drop-kicks appear to be improving. There was a combination of flatter trajectories just past the ten-metre line and on another day much more could have been made of these kicks. Credit to the Pumas here for several excellent almost Aussie rules-like catches that defused potentially awkward situations. I usually stay away from commenting on the backs but I wanted to make brief mention of our oft-maligned fly-half. Foley cops a lot of criticism and at times deservedly so but he had a solid game on Saturday. His exit kicking was better and far superior to Kurtley Beale’s and he had a good night converting penalties – kicking seven from seven (six conversions and penalty goal). Foley threatened the line with an occasional run to keep the defence honest and his passing was excellent. He doesn’t tend to pass the ball long but his short and medium passing and offloading were brilliant. He made one error in a failed grubber kick that was cleaned up by Israel Folau but followed it up with a nice grubber kick to Speight on the wing. Defensively he made eight tackles and missed three (stats as per ESPN) – so all in all a decent night out and Foley will hopefully keep the criticism at bay for another week.